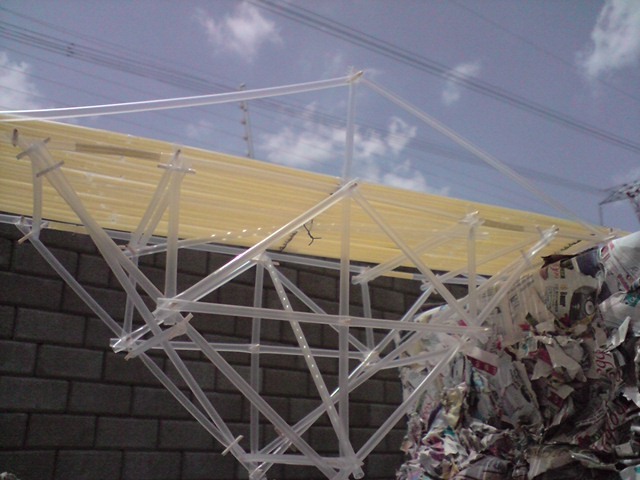 Bridge constructed with drinking straws & spaghetti. Pinned connections between straws with spaghetti. Bridge span across deck = 50cm, supported below at half span. 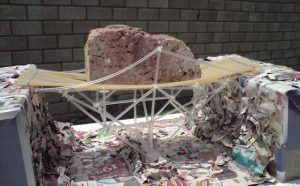 Was skeptical about the bridge holding the weight of the brick but it do so easily. 55 queries in 0.541 seconds.